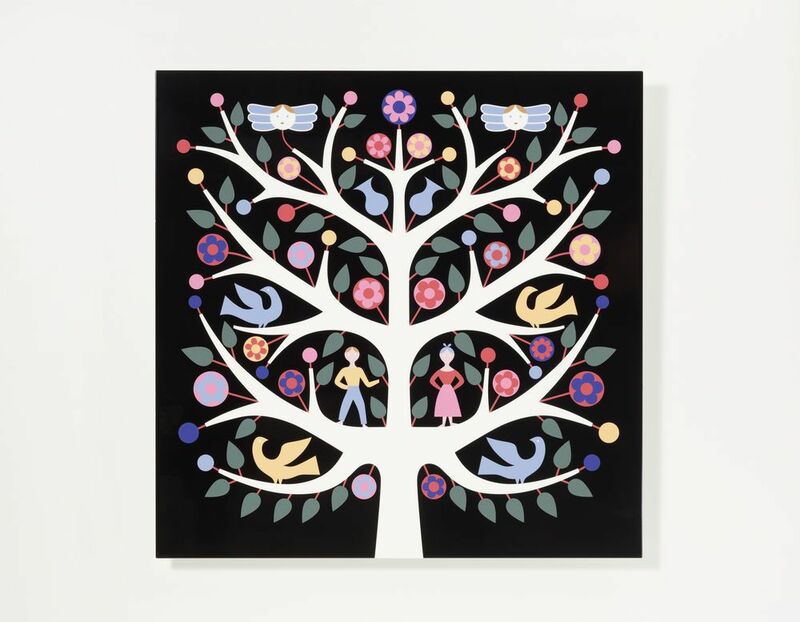 For the Graphic Wall Panels, Vitra consulted with the Girard family to select the Tree of Life motif. The metal plate of the Graphic Wall Panels is printed in multiple layers, which gives it a three-dimensional, enamel-like surface. Powder-coated sheet steel, enamel-like relief printing; assembly materials included. Numbered edition.